Hyderabad, Mar 14: 'Sye Raa Narasimha Reddy' is one of the prestigious projects in Tollywood film industry. 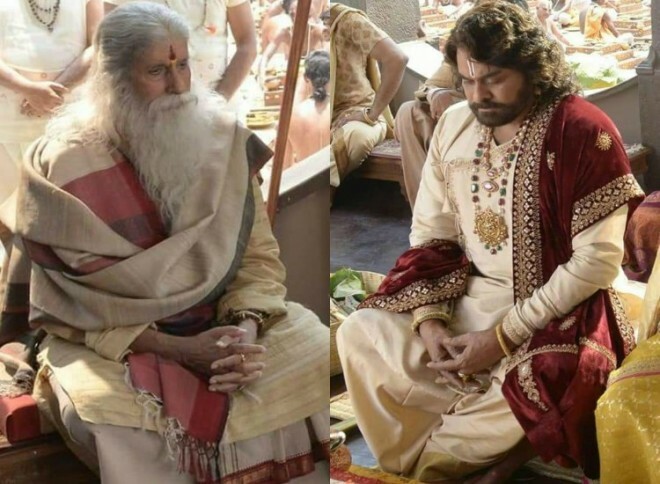 Starring Megastar Chiranjeevi in the lead role, the film includes Bollywood Big-B Amitabh Bachchan in dynasty guru role. After a series of schedules, the makers are currently filming an important schedule again which requires all the key cast. Amitabh Bachchan is back in Hyderabad now to join the film's shoot to complete the remaining portions of the shoot. The makers are currently filming the movie at a specially designed set in Ramoji Film City. Amitabh will participate in the current lengthy schedule along with Nayanathara, Sudeep, Vijay Setupathi and others. Ram Charan is the film's producer and Surender Reddy is the director of the movie. The film is scheduled for a grand release in September this year.